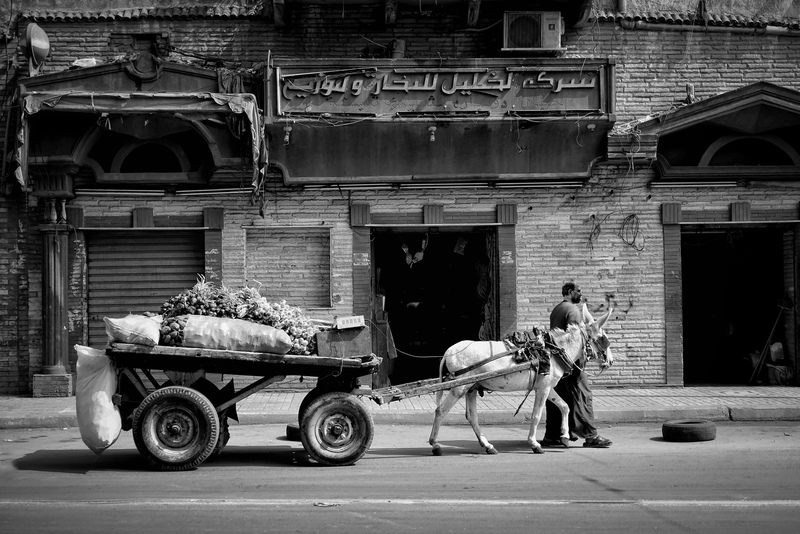 The onion and garlic seller with his donkey cart. An urban view from street life in Alexandria. This is a beautiful Black & White Passion photo.